St. Cecilia Music Center in Grand Rapids will begin a new season of music on October 11, 2018 to celebrate their 135-year history as the oldest arts organization in Grand Rapids and West Michigan. Season subscription tickets to the 2018-2019 Jazz Series and Chamber Music Society of Lincoln Center Concert Series are now available at special rates by calling 616-459-2224 or visiting St. Cecilia Music Center at 24 Ransom NE, Grand Rapids, 49503. Single tickets to chamber, jazz, and folk concerts are also on sale now and can be purchased by phone at 616-459-2224 or online at www.scmc-online.org. St. Cecilia Music Center (SCMC) will begin a new season of music on October 11, 2018 to celebrate their 135-year history as the oldest arts organization in Grand Rapids and West Michigan. Exciting happenings during the new season include a renewed three-year partnership with The Chamber Music Society of Lincoln Center performing three concerts and classical treasures from Beethoven, Mozart and Mendelssohn to Rachmaninov and Tchaikovsky. Another four-concert Spectacular Jazz Series will feature some of the most renowned Grammy award winning jazz artists in the world. Jazz greats to perform at SCMC include Jazz Trumpeter Arturo Sandoval, Jazz Master Kenny Barron Quintet, Multi-talented Jazz Musician Joey DeFranceso, and the Legendary Benny Green Triowith 23-year old jazz sensation Veronica Swift. An expanded Folk Series also kicks off with the renowned Brooklyn-now-Nashville-based band The Lone Bellow. In addition to the exciting concert line-up, SCMC is pleased to announce two special events to celebrate their 135-year anniversary during March 2019 Women’s History Month. SCMC’s history is integrally aligned with women’s history in Grand Rapids. The organization was founded in 1883 by nine Grand Rapids women and was the only organization of its kind to be run solely by women. It was through the efforts of the first women of SCMC that the historic building on Ransom Avenue was erected in 1894, and it is their original mission that SCMC continues to uphold today. St. Cecilia Music Center’s mission is to promote the study, appreciation and performance of music in order to enrich the lives of West Michigan residents. The Center fulfills this mission by presenting visiting world-class artists in concert, providing music education for all ages through our School of Music and preserving a historic building for musical activities and community events. The Jazz Series will launch the new 2018/2019 concert season beginning on October 11, 2018 with 10-time GRAMMY™Award winner Jazz Trumpet Great Arturo Sandoval. 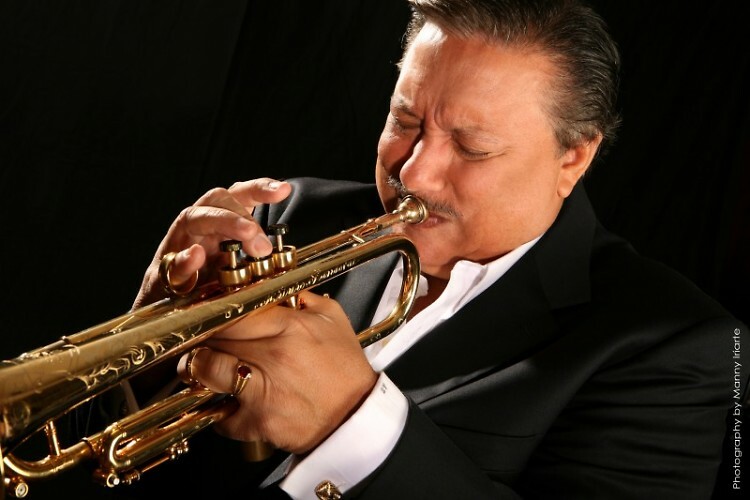 Arturo Sandoval, protégé of the legendary jazz master Dizzy Gillespie, is one of the most dynamic and vivacious live performers of our time, and has been seen by millions at the Oscars, the Grammy Awards, and the Billboard Awards. Following Arturo Sandoval on the Jazz Series will be the Kenny Barron Quintet performing on November 1, 2018. Barron has earned eleven GRAMMY™ nods beginning in 1992 for Best Jazz Album with “People Time” an outstanding duet with Stan Getz, and most recently in 2017 for Best Jazz Instrumental Album. The Los Angeles Times has called Kenny Barron "one of the top jazz pianists in the world” and he was named Best Pianist in 2017 by the Jazz Journalists Association for a record seven times. The final Jazz Series Concert of the season will be the Benny GreenTrio with young rising jazz singer Veronica Swift on March 7, 2019. Veronica Swift will launch her newest album for release in 2018 and the album will feature the great pianist Benny Green and his trio. At age 23, Veronica Swift is now being recognized around the country as one of the top young jazz singers on the scene. Benny Green, a veteran of the jazz world combines a mastery of keyboard technique with decades of real world experience playing with no one less than the most celebrated artists of the last half century. The Chamber Music Society of Lincoln Center 2018/2019 season begins on November 15, 2018 featuring the beloved composition The Trout Quintet. Five consummate musicians will perform diverse gems from the 19th century during this program.Musicians will include pianist Orion Weiss, violinist Paul Huang, violist Paul Neubauer, cellist Keith Robinson, and double bassist Zavier Foley. During the first half, their performance will include duos and trios featuring Beethoven's variations on Mozart's melody, Schubert's creation for the arpeggione, and Bottesini's virtuoso showpiece for violin and double bass. The artists will join forces after intermission to perform Schubert's “Trout Quintet”, which has garnered a reputation as one of the most popular works in the chamber repertory. In Spring, March 14, 2019, CMS will return to perform a program entitled Russian Mastery, featuring works by Rachmaninov, Tchaikovsky, Prokofiev and Arensky.Co-artistic Director and pianist Wu Han will return to Grand Rapids with violinists Arnaud Sussman and Alexander Sitkovetsky, and cellist Nicholas Canellakis. Russia’s vastly expressive music over time has told the story of its country and people, painting a picture through music of its turbulent historical landscape. The Prokofiev Two Violin Sonata, written in 1932, stands apart as an audaciously creative work from the period between the wars, while the remaining works will be glorious musical outpourings of the age of the tsars and the Russian Empire. The Chamber Music Society of Lincoln Center will perform again on April 25, 2018 with a program titled From Mendelssohn, who led composers to follow him for generations. Mendelssohn’s combined mastery of melody, form, counterpoint, and the chamber idiom was admired and imitated by composers for generations. In a program bookended by two works of Mendelssohn from 1845, one brief, the other epic, the audience will hear Mendelssohn’s close friend Robert Schumann’s response to Mendelssohn’s piano trios; how, near the end of his life, Brahms recalled Mendelssohn’s lyricism through the viola’s dark voice; and, finally, how Mendelssohn’s great admirer Tchaikovsky combined the German’s signature scherzo idiom with Russian melancholy and splendor in three selections from The Seasons for solo piano. CMS musicians performing for the final concert of the season will include pianist Inon Barnatan violinist Cho-Liang Lin, violist Paul Neubauer, cellist Jakob Koranyi, and clarinetist Romie de Guise-Langlois. The first Folk Series Concert of the season on November 29 will feature The Lone Bellow, a Brooklyn-based band (now in Nashville) who have become known for their transcendent harmonies, serious musicianship and lively performances.The trio features Zach Williams (guitar/vocals), Kanene Donehey Pipkin (multi-instrumentalist), and Brian Elmquist (guitar). 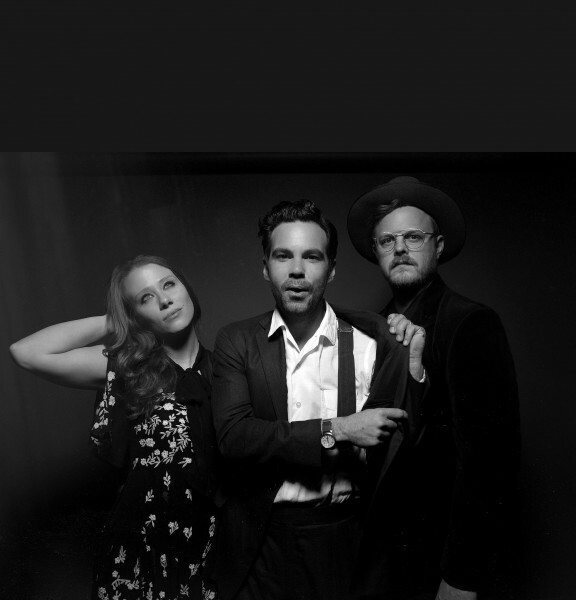 This evening will be part of The Lone Bellow’s acoustic “TRIIIO TOUR” and right after they release a new album, Walk Into A Storm, on September 15, 2018 with Sony Music Masterworks. Their victorious release three years ago,Then Came The Morning produced by The National's Aaron Dessner, was nominated for an Americana Music Awardand helped create a large dedicated fan base. Subsequently, the band appeared on "Jimmy Kimmel Live," "Late Show With David Letterman," "Conan O'Brien," "CBS This Morning," "Later...with Jools Holland," and "The Late Late Show With James Corden" in support of the album. Along with the exciting Chamber Music Society of Lincoln Center, Jazz and Folk series concerts, St. Cecilia Music Center is pleased to announce the following March 2019 Celebration Events for their 135-year anniversary during Women’s History Month. March 23, 2019, the first annual Helen DeVos Legacy Award dinner will debut to honor the late Helen DeVos, lifelong benefactor and supporter of many arts organizations within the community. SCMC will honor the late Helen DeVos for a lifetime of philanthropic service and, in particular, her support and love of the arts. The Richard and Helen DeVos Foundation has been one of the most important benefactors of SCMC over the years. Helen DeVos served on the SCMC Board of Directors and had a special appreciation for music. Her lifetime of patronage to the arts had a huge impact on the cultural growth of Grand Rapids as a city. At the gala dinner on March 23, 2019 SCMC will pay tribute to Mrs. DeVos. In subsequent years, each March, SCMC will select a woman in Grand Rapids to receive the Helen DeVos Legacy Award at the annual honorary dinner event. The honoree will be a person who has demonstrated exemplary service within the Grand Rapids arts community and whose efforts have helped expand the cultural landscape of the city. “Celebrating SCMC’s 135th anniversary with special events during Women’s History Month in March 2019 is extremely meaningful and appropriate,” comments SCMC Executive Director Cathy Holbrook. “We are thrilled to honor the late Helen DeVos for the amazing vision she had for the arts in Grand Rapids and to keep her legacy alive with the continuation of the Helen DeVos Legacy Award in years to come. A second special event celebrating women during the 2018/2019 season will be an educational outreach performance for Grand Rapids Public Schools from the New York based organization JazzReach. Currently scheduled for March 15, 2019, the program titled “She Said/She Says The History and Status of Women in Jazz” will give students a view of the important role women have played in jazz.